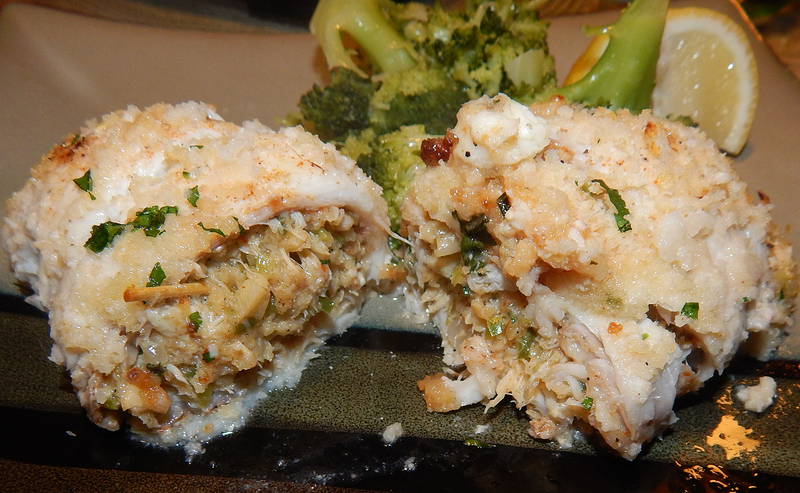 Flounder fillets chock-full of lump crabmeat—delicioso! Luckily we had some leftovers which made for a nice lunch the next day. OUR NOTES: We used Panko bread crumbs instead of Ritz crackers. Our cooking time was almost double, perhaps in part to the fact that the roulades were packed tightly together in the casserole dish, so try to leave a bit of air space between them. Season each fish fillet with 1/2 teaspoon of Essence and 1/4 teaspoon of salt and place the fillets skin side up on a work surface. Divide the crabmeat filling evenly among the centers of the fish fillets and, using your hands, roll the fillets up to encase the filling. Secure with a toothpick, if necessary. 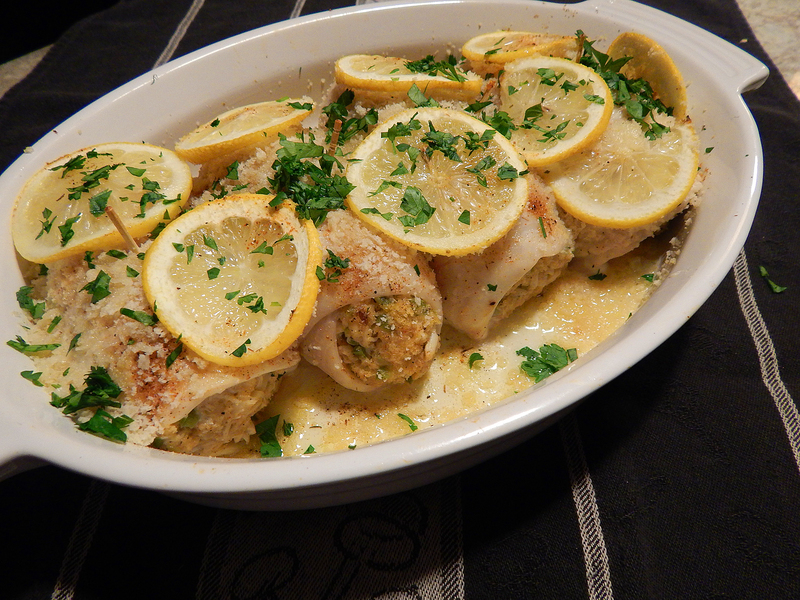 Place the fillets, seam side down, in the prepared baking dish and top with slices of lemon. Sprinkle the remaining 1/4 cup of the cracker crumbs evenly over the tops of the fillets. Drizzle with the melted butter. Using oven mitts or pot holders, place the baking dish in the oven and bake until lightly golden and cooked through, about 20 minutes. Using oven mitts or pot holders, remove the baking dish from the oven and serve the fish using a metal spatula. Garnish with the remaining tablespoon of parsley and serve with additional lemon wedges, if desired.